PERSONAL DATA: Born July 7, 1960 in Portland, Indiana. Montpelier, Indiana is his hometown. Married to the former Kelly Bennett. They have two children, Anthony and Heidi. His parents, Clayton and Barbara Ford, reside in Indiana. EDUCATION: Graduated from Blackford High School, Hartford City, Indiana in 1978. 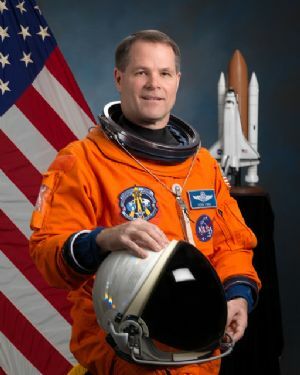 He received his Bachelor of Science Degree in Aerospace Engineering from the University of Notre Dame in 1982, a Master of Science in International Relations from Troy State University in 1989, a Master of Science in Aerospace Engineering from the University of Florida in 1994, and a Ph.D. in Astronautical Engineering from the Air Force Institute of Technology in 1997. Graduate of Squadron Officer School, the Air Command and Staff College Associate Program, and Air War College. SPECIAL HONORS: Distinguished Graduate of Detachment 225, Reserve Officer Training Corps, 1982. Distinguished Graduate of Undergraduate Pilot Training, Columbus AFB, Mississippi, 1984. Distinguished Graduate of the United States Air Force Test Pilot School, 1990. Awarded the Legion of Merit, the Air Force Meritorious Service Medal, the Air Force Commendation Medal, the Aerial Achievement Medal, and the Armed Forces Expeditionary Medal. Recipient of the Air Force Test Pilot School David B. Barnes Outstanding Flight Instructor Award, 1998. EXPERIENCE: Ford was commissioned through the Reserve Officer Training Corps program in 1982 and completed primary Air Force jet training at Columbus Air Force Base, Mississippi in 1984. He trained in the F-15 Eagle and was assigned to the 22nd Tactical Fighter Squadron, Bitburg Air Base, Germany, from 1984-1987, and then to the 57th Fighter Interceptor Squadron at Keflavik Naval Air Station, Iceland until 1989, intercepting and escorting 18 Soviet combat aircraft over the North Atlantic. After spending 1990 as a student at the United States Air Force Test Pilot School, Edwards Air Force Base, California, Kevin flew flight test missions in the F-16 Fighting Falcon with the 3247th Test Squadron at Eglin Air Force Base, Florida from 1991-1994. Test experience there included multiple F-16 flutter missions, development of the ALE-47 Countermeasures Dispenser System, multiple safe separation, ballistics, and fuse tests, and air-to-air missile development testing, including the first AMRAAM shot from the F-16 Air Defense Fighter variant. Following a three-year assignment to pursue full-time studies as a doctoral candidate at Wright-Patterson Air Force Base, Ohio, he was assigned to the Air Force Test Pilot School where he served as the Director of Plans and Programs, taught academics, and instructed students on flight test techniques in the F-15, F-16, and gliders. Kevin has 4300 flying hours and holds FAA commercial certificates for airplanes, helicopters, and gliders. He is a certificated flight instructor in airplanes and gliders. He retired from active duty military service in June 2008. 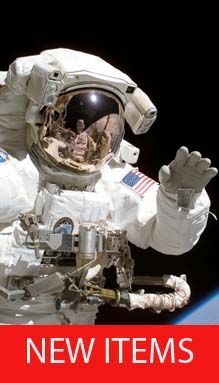 NASA EXPERIENCE: Selected as a pilot by NASA in July 2000, Ford reported for training in August 2000. Following the completion of two years of training and evaluation, he was assigned technical duties in the Astronaut Office Advanced Vehicles Branch, working advanced exploration issues, and to the Space Shuttle Branch, working on the development and test of the Shuttle Cockpit Avionics Upgrade. 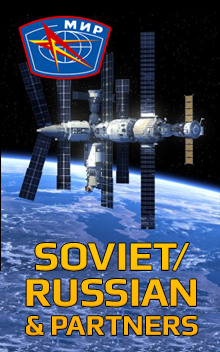 Served as Director of Operations at the Gagarin Cosmonaut Training Center in Star City, Russia from January to December of 2004. From January 2005 until July of 2008, he served as a Space Shuttle and International Space Station (ISS) CAPCOM in the Mission Control Center, working the STS-115, STS-116, STS-117, STS-120, STS-122, and STS-123 Shuttle missions, as well as ISS Expedition Stage Operations. Ford is assigned to serve as the pilot of Space Shuttle Discovery on the STS-128 mission targeted for launch in August 2009. Discovery will carry the Multi-Purpose Logistics Module “Leonardo” filled with science and storage racks to the ISS, and deliver a new Ammonia Tank Assembly. The mission will include three spacewalks which will include removal of a depleted ammonia tank for return, installation of the new tank assembly, and retrieval of a materials processing experiment outside the European Space Agency’s Columbus module. The mission will also exchange ISS Expedition crew members.